Huka Falls is set of waterfalls on the Waikato River (New Zealand longest River) which feed Lake Taupo in New Zealand. 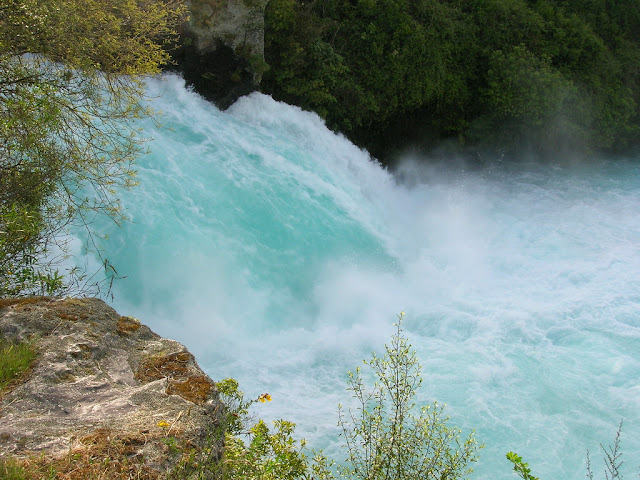 In this beautiful place, one can see the natural phenomenon of hydropower often approaches 22,000 liters of water per se barreling over an 11-meter high waterfall. 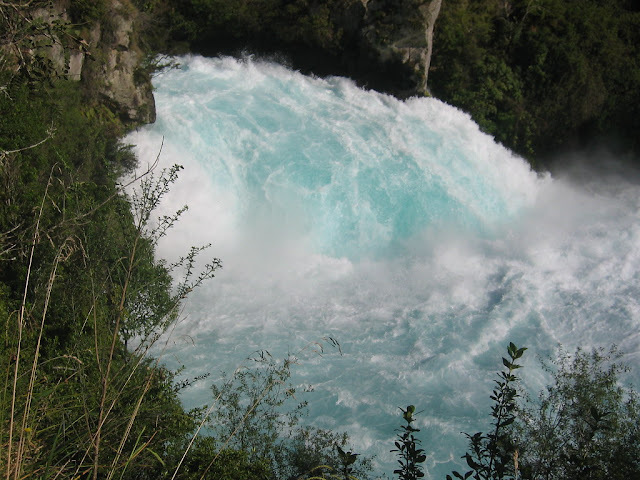 The flow rate is regulated by Mercury NZ Ltd., through the Taupo Control Gates. 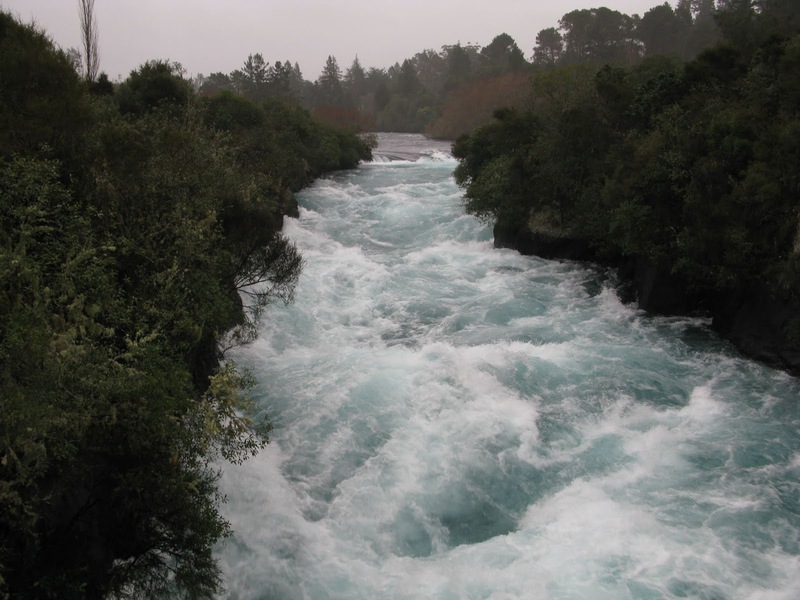 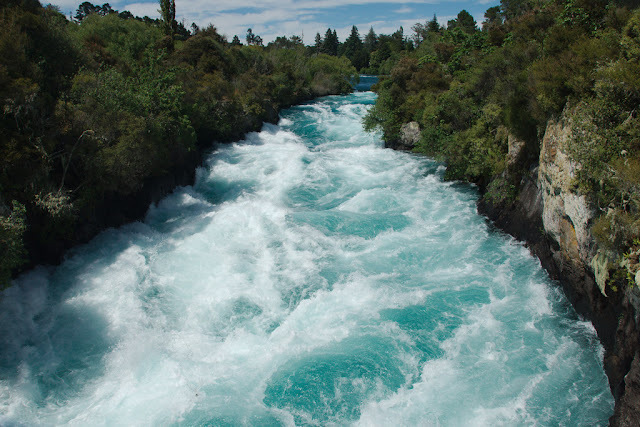 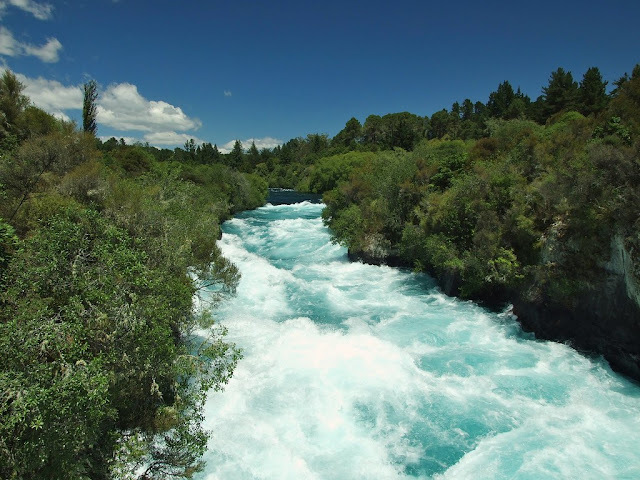 Further, flow rates can increase depending on power demands, which in turn can alter the height of the Huka Falls from 7 to 9.5 m. The volume of water flowing at the top of the falls is a set of small waterfalls dropping over about 8 meters. The final stage of the falls is over a 6-meter drop, raised to an effective 11m fall by the depth of the water. 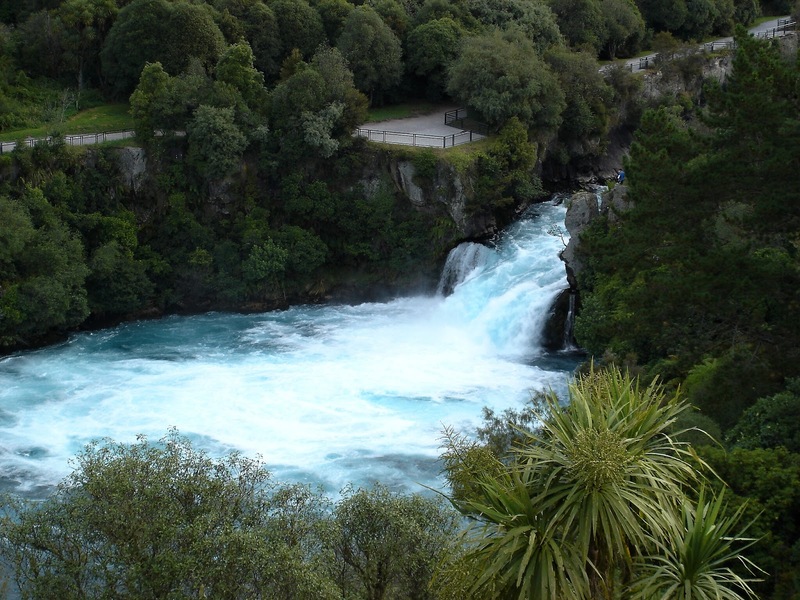 The falls are a popular tourist attraction, being close to Taupo. The Waikato River upstream moves gracefully north from Lake Taupō between banks 100 meters apart. Then it enters a shallow ravine of hard volcanic rock. The canyon is carved into Lake Floor sediments laid down 26,500 years ago when the Oruanui eruption of Taupo Volcano took place. 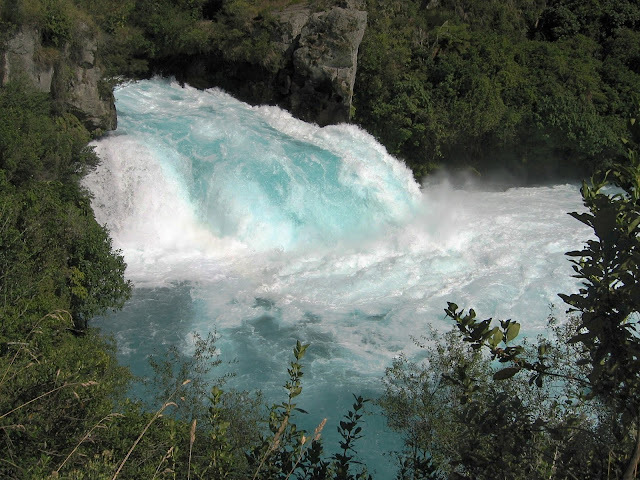 The effect is nature's large-scale equivalent of a fire hose feeding into a very fine nozzle. 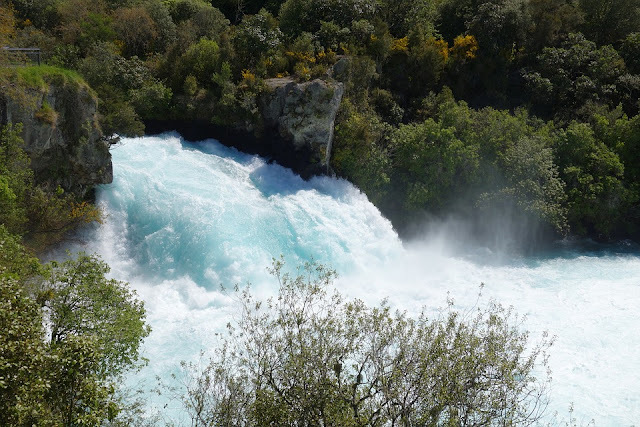 A pedestrian bridge at the top of the Huka Falls puts you in the best position to get up close and observe the potent display of water blasting. Also, if you want to like to see the real power and fury of the falls up close try a jet boat or cruise ride up to the crystal-blue pool. Anyone visiting here gets amazed with the beauty of Huka Falls. 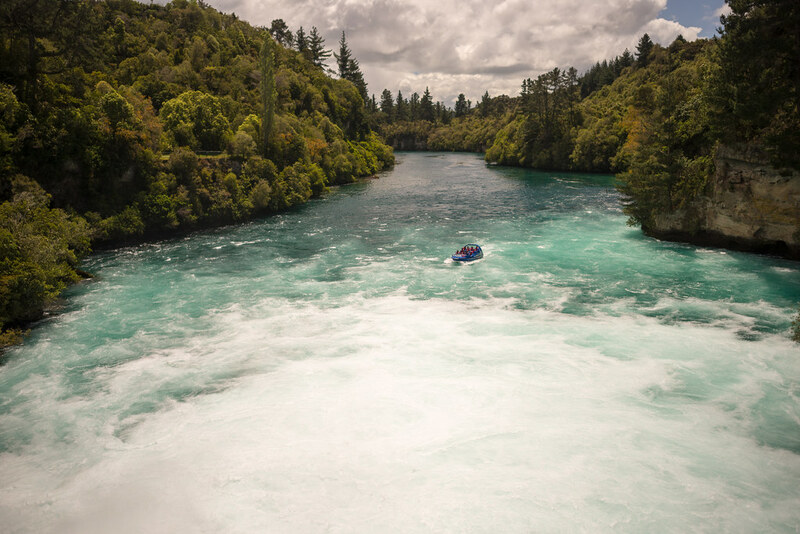 They are having the feelings of seeing one of the “natural wonders of the world.” The crystal clear water of Huka Falls combined the vibrant white and blue of the cascading falls and the surrounding terrain create a picture-perfect landscape for avid photographers. 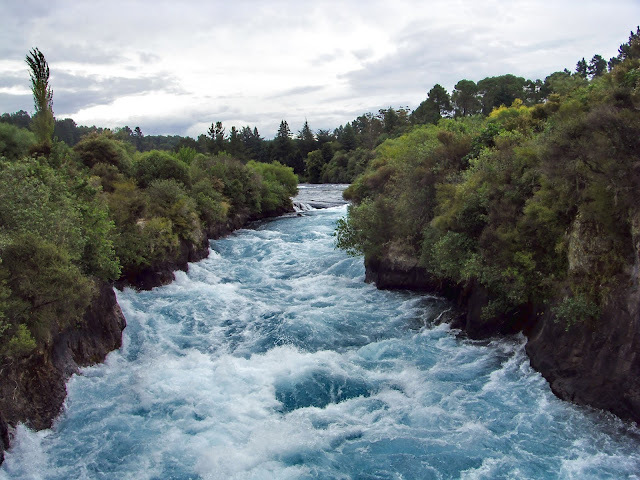 Along the Huka Falls, one can hike the Spa Park, an easy one-hour scenic walk that starts where the river is still tranquil and wide. 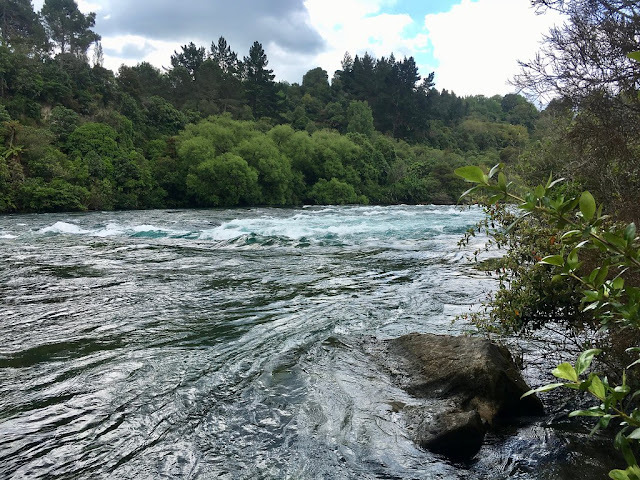 During hike and passing through exotic and native forests, the track emerges alongside the river and the roar of the falls grows louder at each turn. 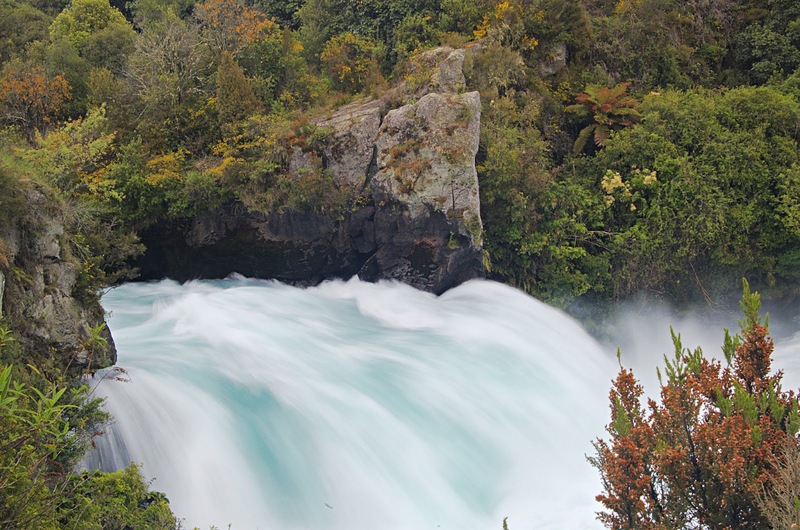 Also near the falls, many great vantage points are available where you can relish their full glory and capture selfies and photographs. 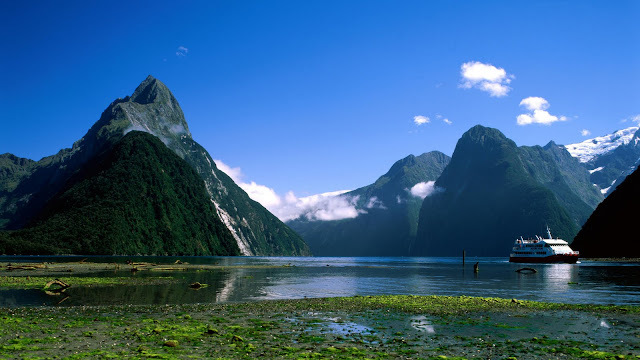 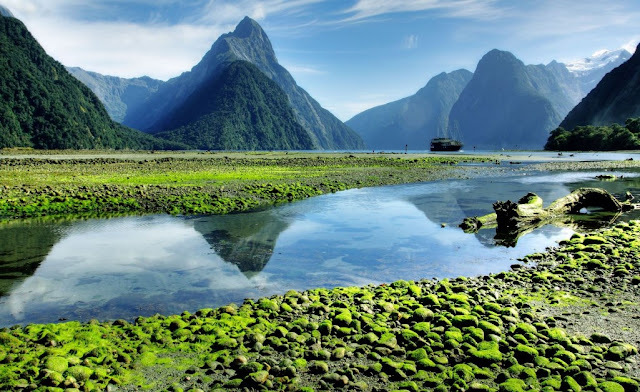 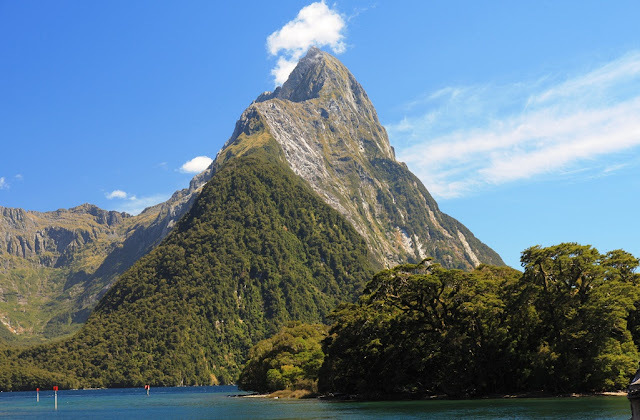 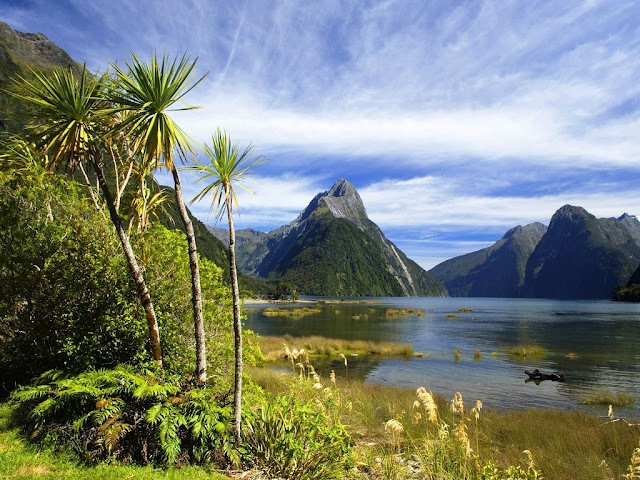 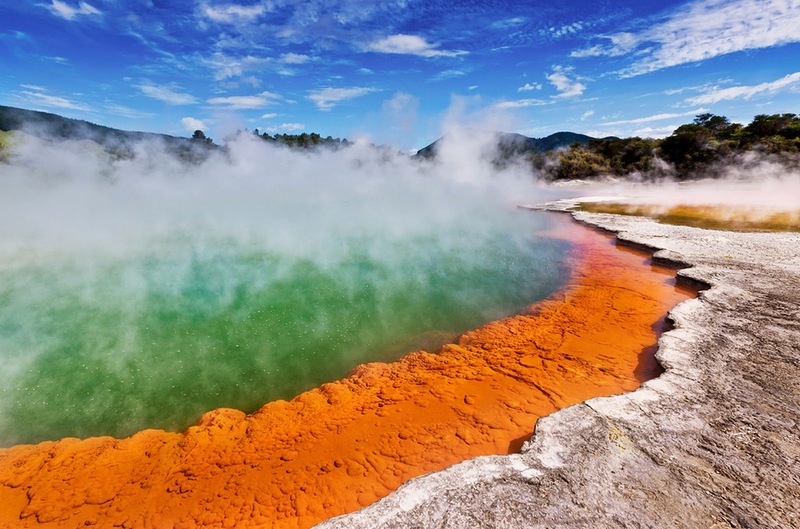 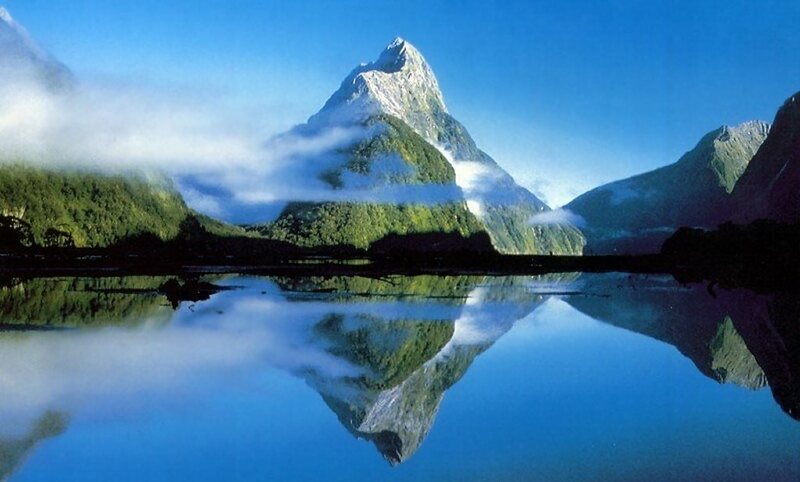 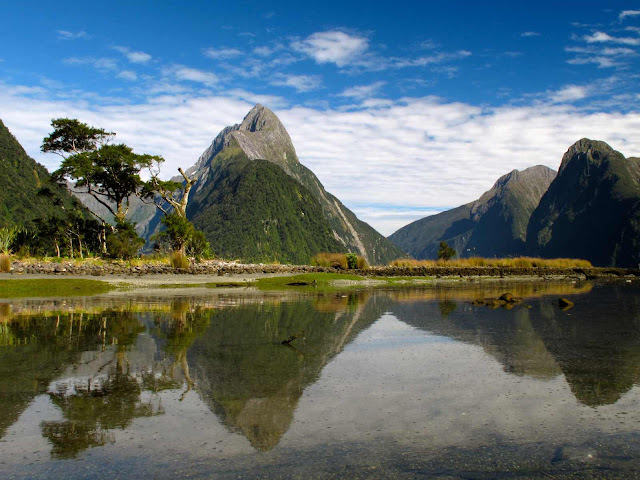 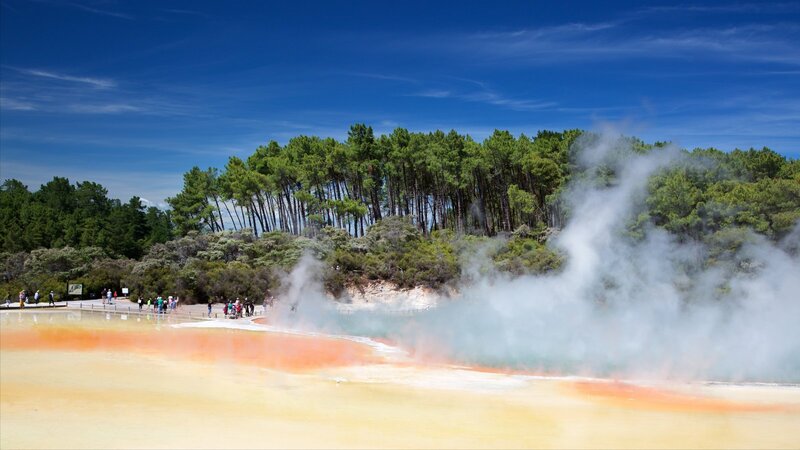 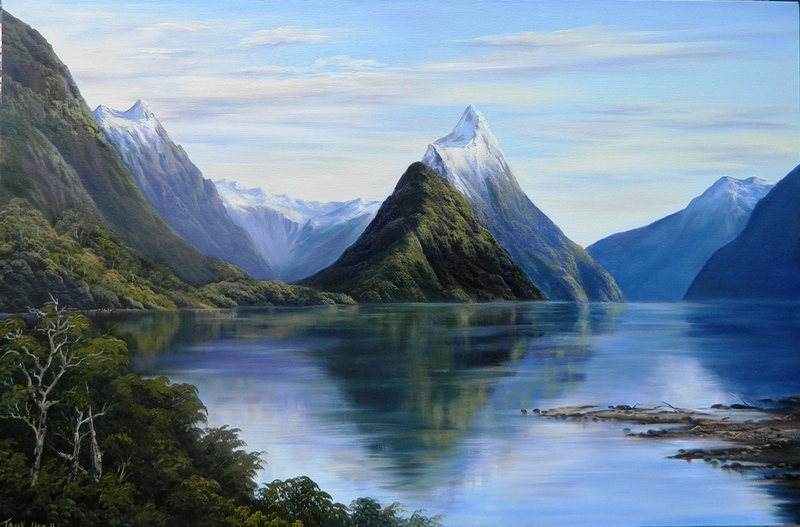 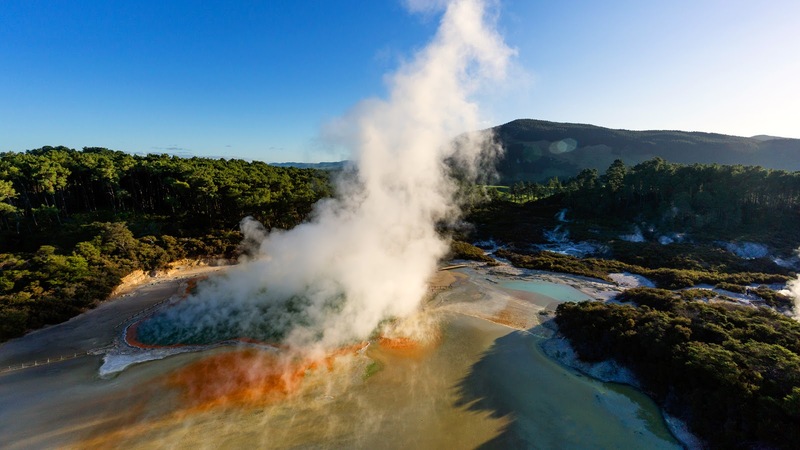 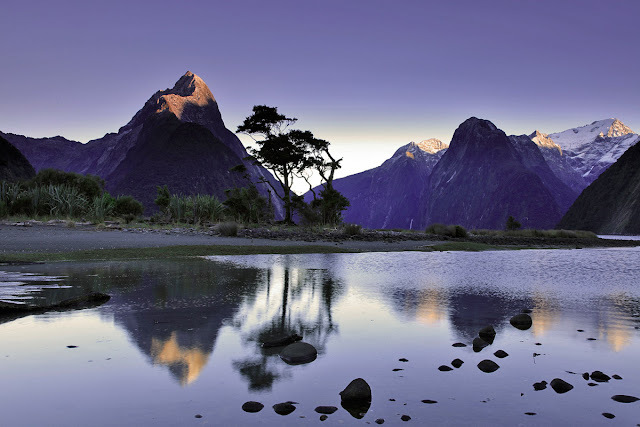 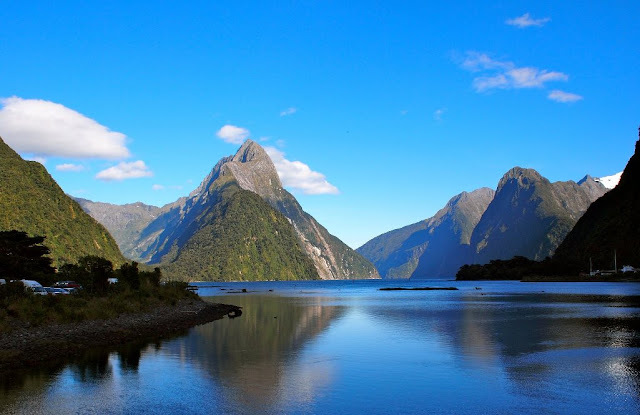 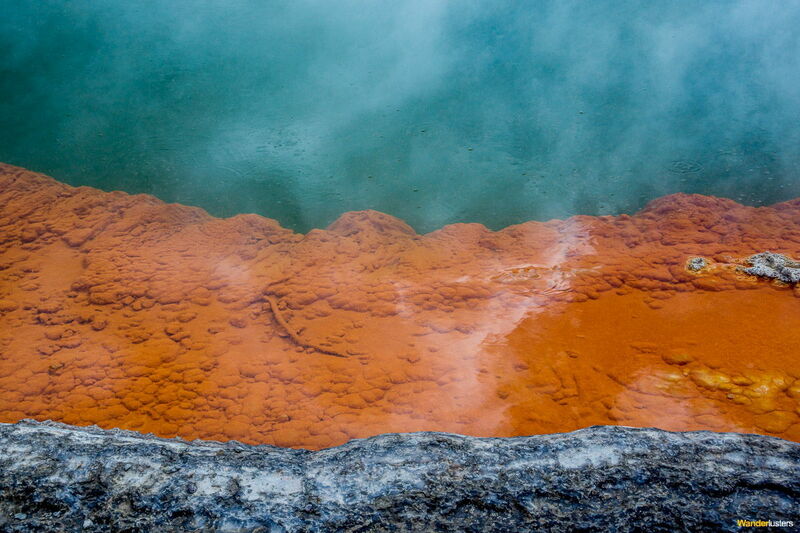 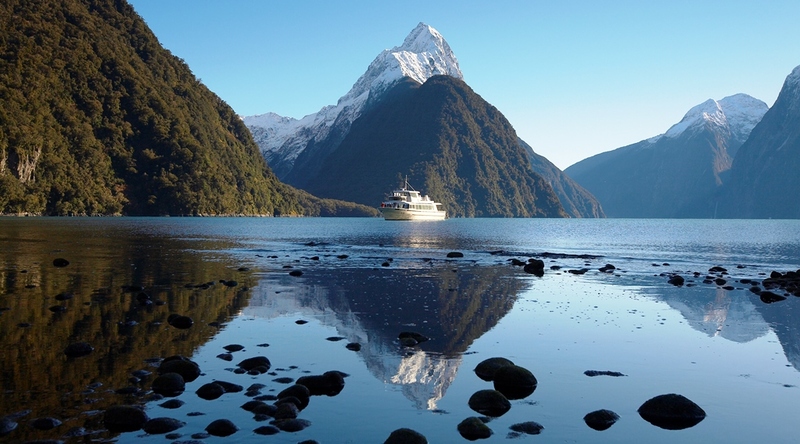 This unbelievable sight is the most-visited natural attraction in New Zealand. 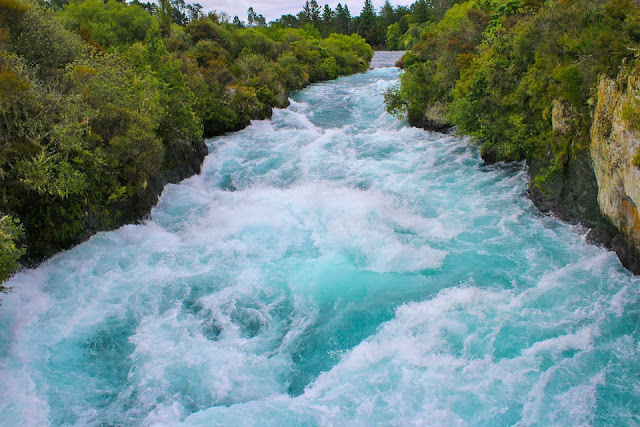 It is extremely hard to tear your gaze away from the endless, mesmerizing torrent. 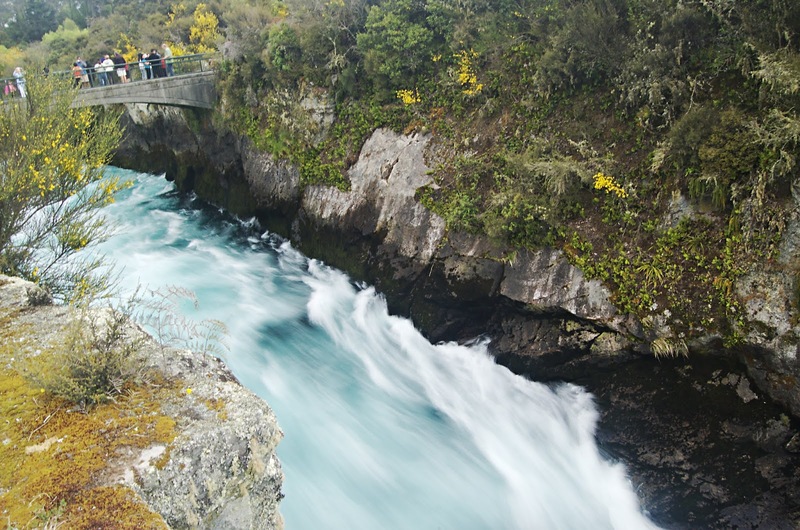 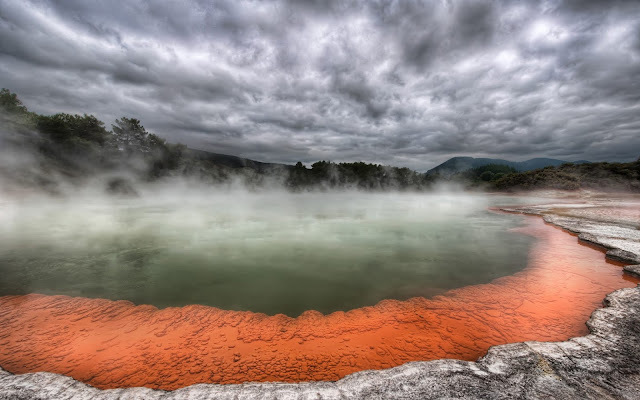 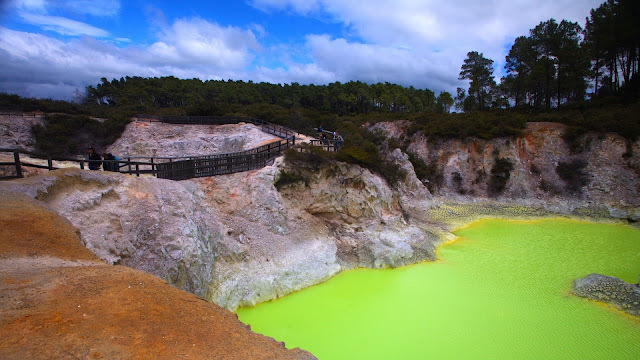 Since you are in the Taupo area, so, a two-hour trail that will wind you through scenic surroundings until you arrive at the Aratiatia Dam, another awesome attraction worth visiting. Slope Point is the southern point of New Zealand’s South Island, famous due to consistently lashed with fierce and cold southwesterly winds that blow up from Antarctica. 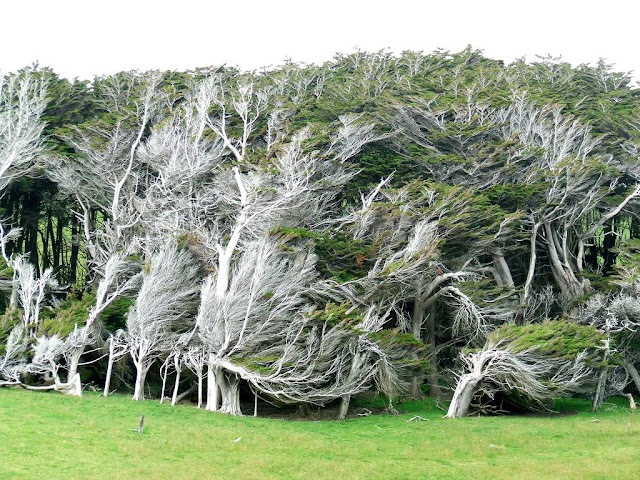 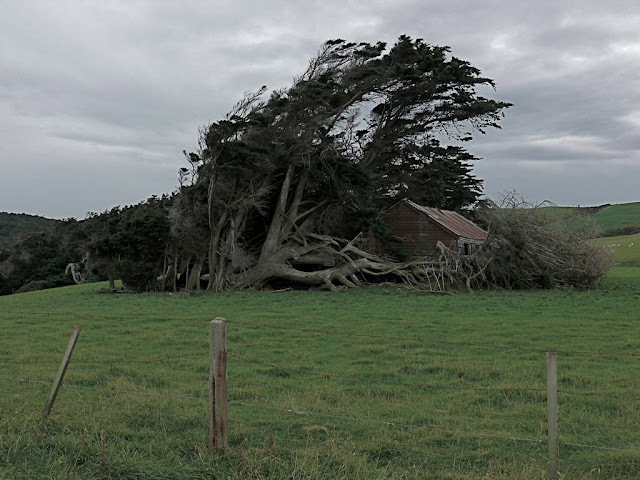 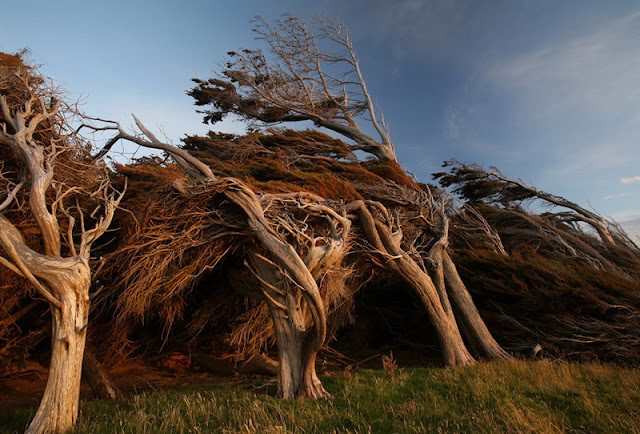 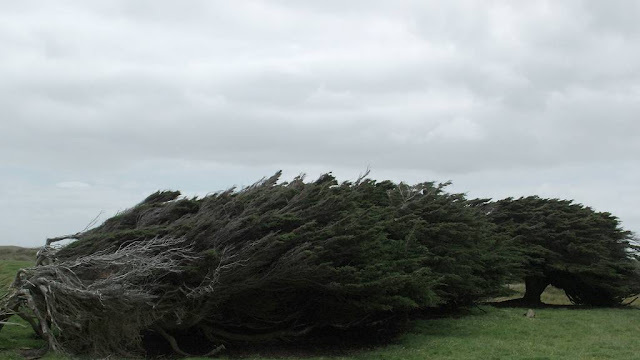 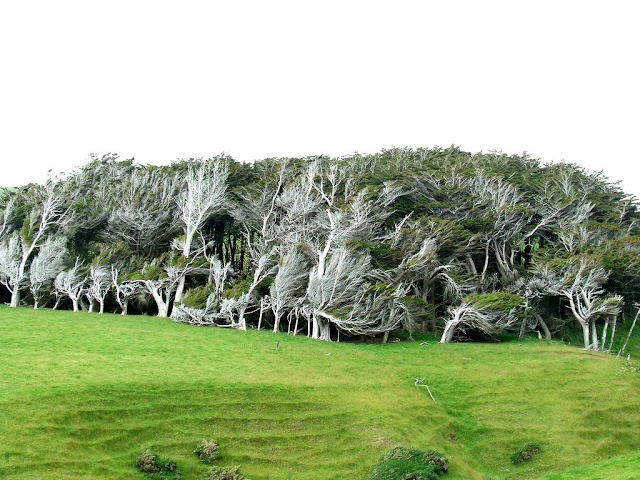 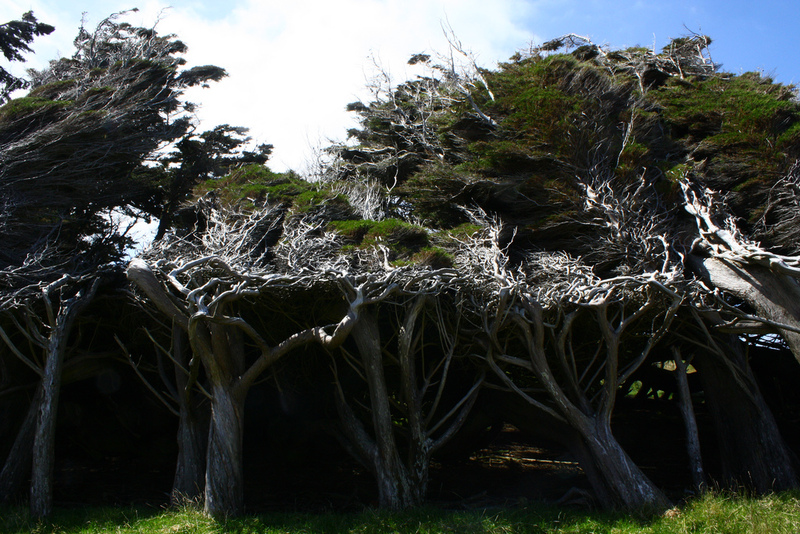 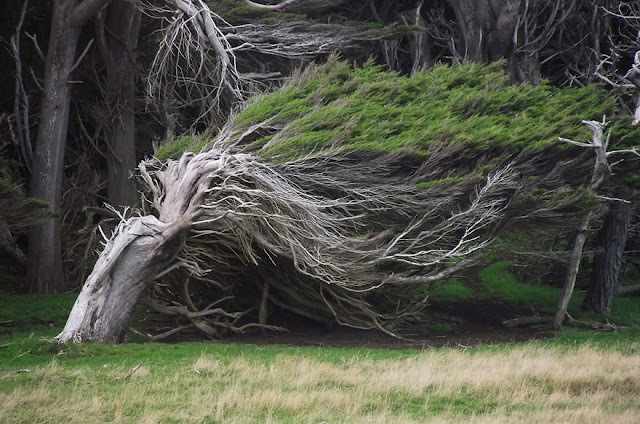 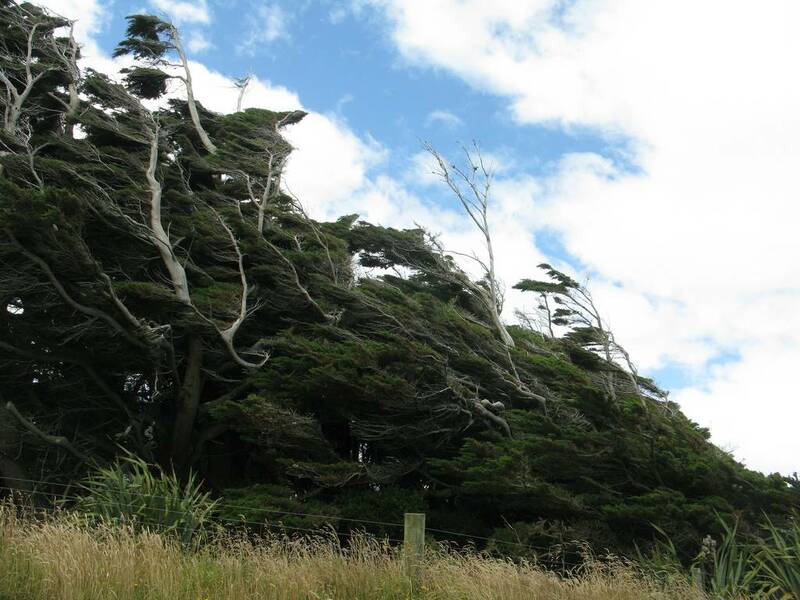 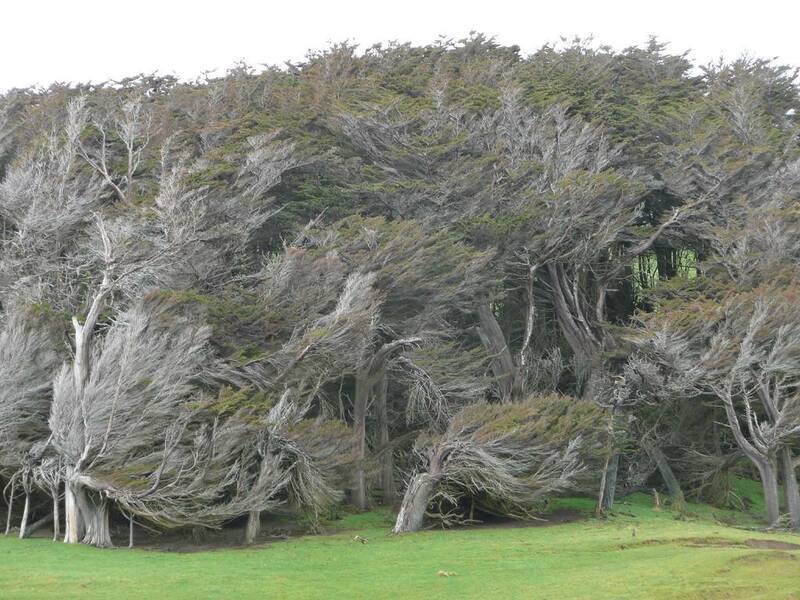 In this region the wind is so strong and persistent, that caused the trees twisted, warped and constantly bent along the direction the wind blows. The Slope Point is mainly used for sheep farming, and aside from a few sheep, no humans or other animals live on this part of the island. 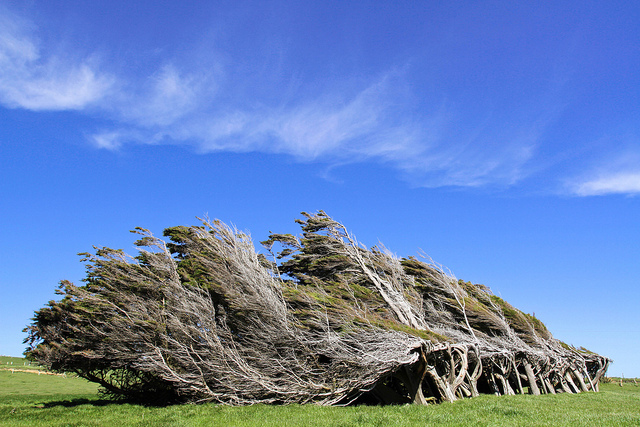 However, there’re some derelict shacks built under the protection of the windswept trees, but even those are abandoned. 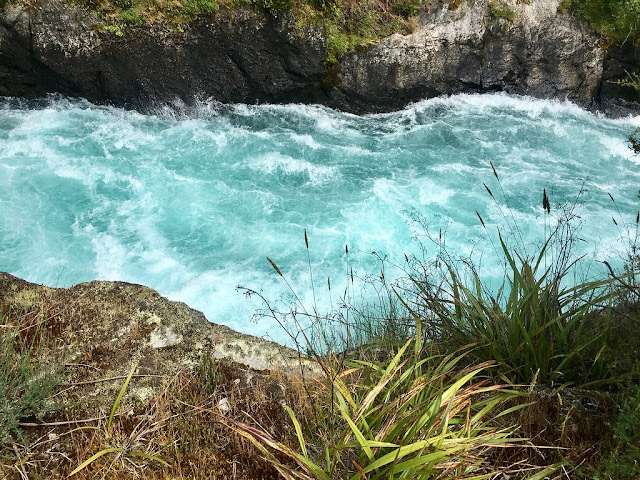 The marvelously steep cliffs drop down to the sea below. 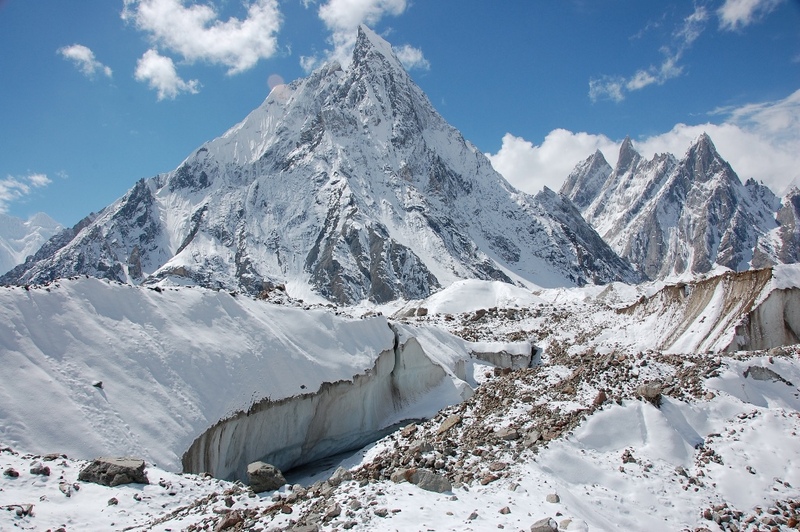 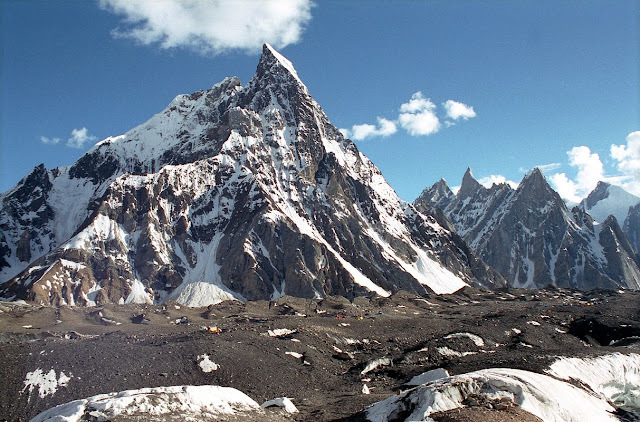 Here, the scenes are truly astonishing over the rocky coastline and surrounding cliffs. 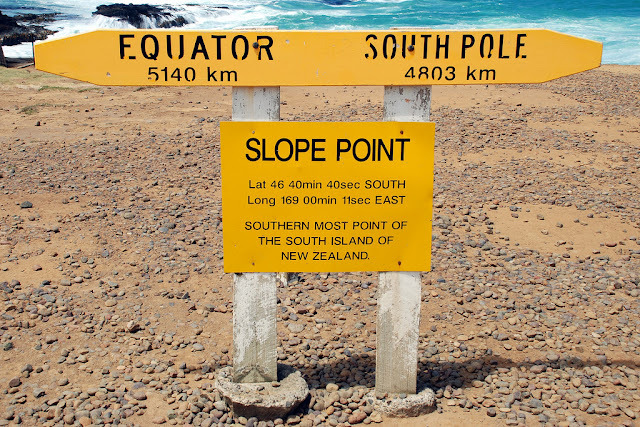 Although, there is a slight signpost that shows the distance to the Equator and the South Pole, and a small solar-powered lighthouse stands on the farmland. 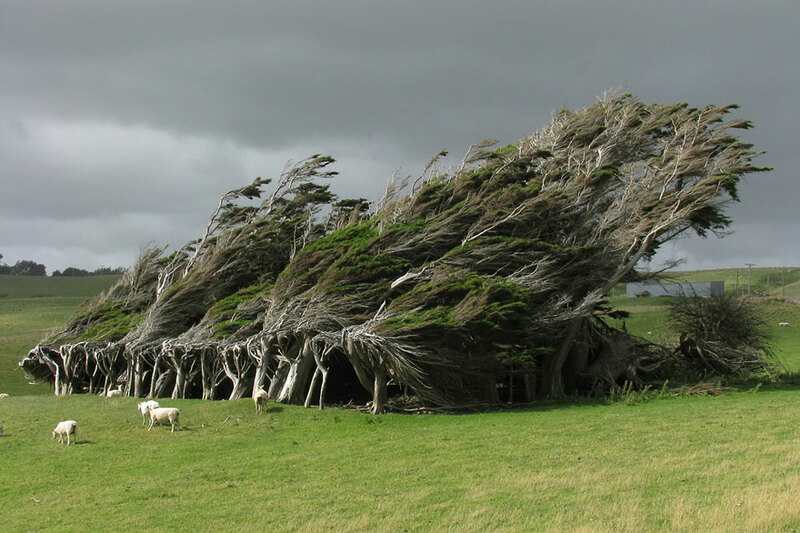 Yet like virtually everywhere else in New Zealand you will find hardy creatures need some shelter from the elements and so, many decades ago, local farmers planted saplings which they hoped would meet the expense of their animals some respite from the often savagely inclement weather. 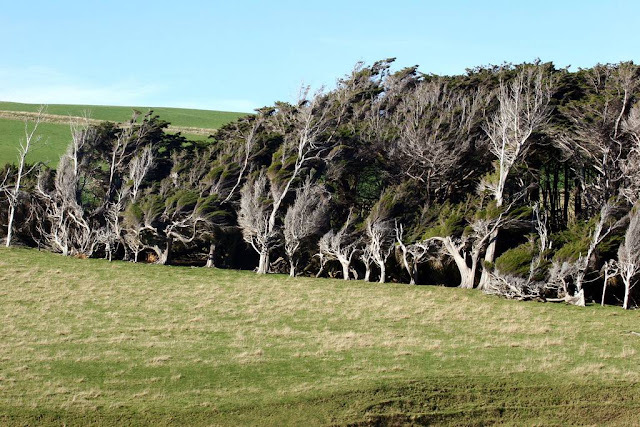 Please keep in mind that there are no proper roads to Slope Point, but it can be reached by a 20-minute walk following dilapidated yellow markers. It is maybe hard to believe this challenging micro-climate is only a few hours’ drive from the fiords and rain forests of Milford Sound. 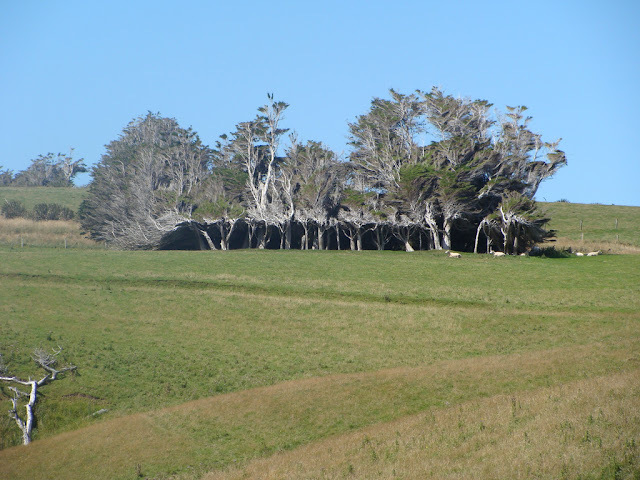 As such Slope Point contributes to the excellent and idiosyncratic beauty of New Zealand - the broad diversity of landscapes in the vicinity each other. There is no public access during the lambing season starting September to November.